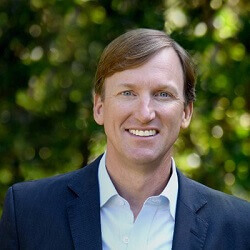 Andrew White has, a Texas gubernatorial candidate has revealed his plans for a $9 billion plan to improve the public school system within the state. This comes his declaration that the public school system has been in decline to the point where it is an, “education emergency.” He has stated that under his system, the casinos in the state would help to cover the costs of his ambitious plan. This comes in the light that schools across Texas are facing budgeting problems, and White believes that revenue from casinos can help to curb much of the costs that schools have been facing. Many of the gambling venues in the state consist of slot machines, horse track betting, and tribal casinos. One of White’s plans includes giving teachers an initial $5000 tuition bonus, as well as reducing voucher programs that support charters. He also wants to increase the cost of living adjustments for those that have retired, and increasing the scholarship amount for students that graduate with a GPA of 3.0 or higher. Despite his plans, recent polls have shown that White is still far behind in predicted election results. The current governor, Gregg Abbott, is leading the elections with 54 percent of voters on his side, and White faces further challenge with fellow Democrat challenger Lupe Valdez. Despite their attempts at gaining more footing in the state, Abbott looks to stay in the lead for quite some time, and experts believe he will retain his position through the elections.